To separate yourself from the competition in the world of social marketing, one word can make all the difference: content. The quality (and quantity) of content a company produces can really make a difference in the impact of their campaigns. While we all know that Facebook and Twitter are big platforms for content marketing, there are quite a few other social media networks that are untapped wonders for this. One particular platform that should not be overlooked is Pinterest. With over 70 million users on Pinterest, it’s no secret that marketers are trying to reach this highly marketable audience. Once you find the secret to creating high quality content, your job is only half-complete. Now, you need to figure out how to publish and track the reach of your content. Is your target audience seeing your content? If so, are they sharing it? These are all vital questions that Pinterest Analytics can help you answer. Not sure exactly what to pin on your boards? Do some (fun) research on Pinterest to see what’s popular among your audience. Determine what category you’ll be pinning under most often, what kind of content has the most number of repins, etc. Make sure you’re also captioning your pins – it’s important to engage your audience, which can be hard on Pinterest, since all they have to do is click ‘pin’ to share. The most important mindset you can have on Pinterest is: Pin to get repined. Over 80% of activity on Pinterest comes from repins. That’s an overwhelming majority! After you create boards, repin and engage your audience and develop a significant following, it’s time to measure your results. It’s important to see which areas you can improve upon and which areas are your strong points. Pinterest has a free version of business analytics, which can be very useful when you’re just starting out on the site. For a more comprehensive and detailed report, however, you’re going to want to use a monetary analytic reporting site. PinLeague is a great site to use for this occasion. You can track the activity surrounding your pins and also the images you have on your website. 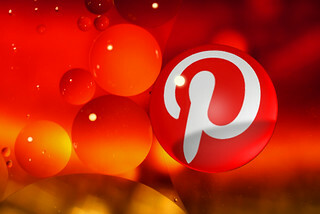 That means you’ll know about it if users are pinning images from your website to Pinterest! You not only will be able to see where your traffic is coming from but also the best type of pins that seem to really engage your audience. This can also be very helpful if you’re trying to separate your content by Pinterest board. It’s a great way to determine which of your boards are most popular among your consumers. If you know what’s not working for your demographic, it’s easier to figure out the way to fix it. The most important thing to remember is the need for high-quality content. That’s the first step in the right direction. If your content is worth repining, then you’re halfway there! Pinterest is a vital tool for social marketing due to its highly visual component. It allows a company to be creative and show a little personality to its consumers, something that could truly separate you from your competition.